Two persons are reported to have sustained gunshot wounds from suspected robbers at North Kanashie on Tuesday morning. 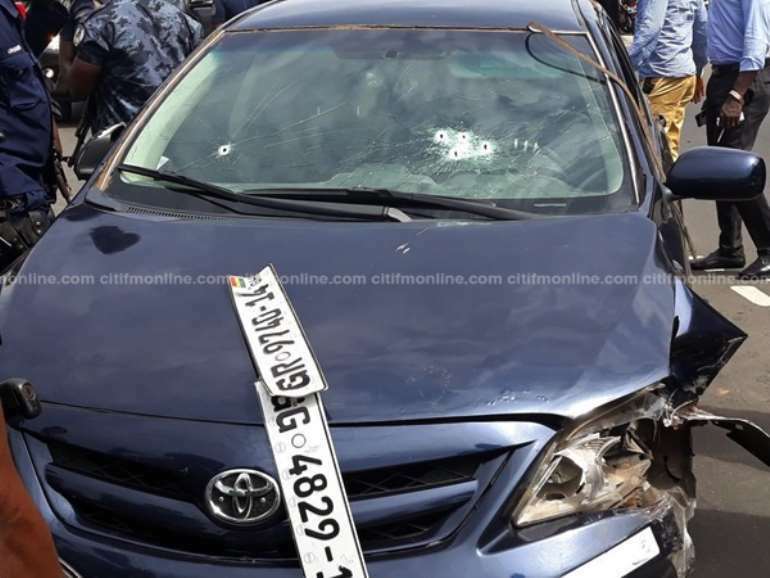 Gunfire was first heard in the area around a Latex Foam showroom at North Kaneshie where the robbers, believed to be four in number, had crashed their vehicle. It is not clear yet how the suspected robbers crashed their car, and whether there was indeed a successful robbery operation. There was heavy police presence at the scene of the incident, but police have declined speaking on the matter. “I heard a screech from that side of the road so I decided to look through the window. Just then, I saw that the robbers had driven their car into another car. They came in a blue Toyota Corolla with two number plates in front and two number plates at the back,” an eyewitness told Citi News. “I saw the guys. They gave about three warning shots and then they moved their luggage, which probably would be the money they had in the blue luggage into a Camry, which they got away in, and it belongs to a different person. I hear they shot the man who was driving the Camry and then made away with his car. I don't know how the man got away but I hear he went away in a Taxi to the hospital,” he narrated. 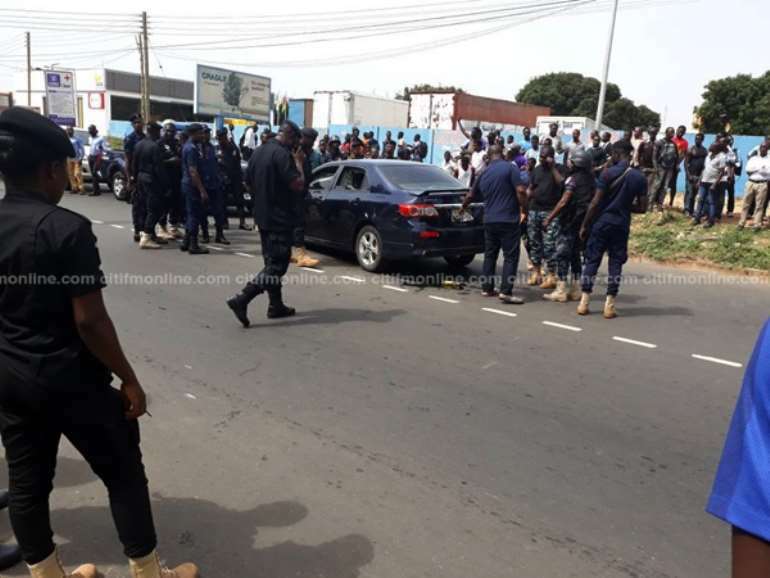 The eyewitness also observed that there was a policeman at a GCB Bank close to where the crash occurred, but he did not offer any help. 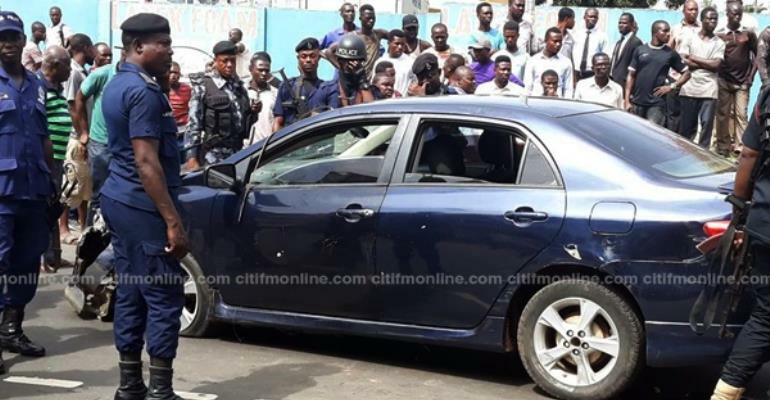 Three vehicles including the one used by the robbers have been sent to the Kaneshie Police Station.